This issue was a huge entry into the overall story of this book. It is so action packed, fast paced and a great conclusion to this arc. 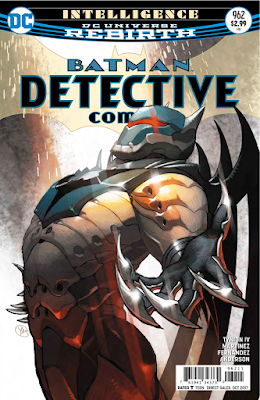 Jean Paul getting into the Bat Azrael suit with the Batman protocol installed was one of the highlights of it. He looks amazing and is a formidable foe against Ascalon. It is unfortunate that by the end of the issue, he no longer wants the suit. He would like to have his Azrael suit modified to keep that look, which I am disappointed about. 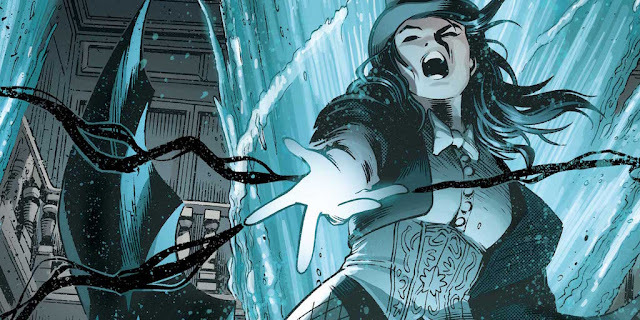 Another disappointment I had with the end of the issue is that Zatanna doesn’t seem to be coming onto the team like I initially wished at the start of the arc. She was the magical team member this team needs and she has a loving dynamic with Bruce that it would be fun to have her on board. Regardless, I am happy she was here, providing her amazing character to the arc. The final battle with Ascalon happens quick but in a highly satisfying way. After the fight between Azrael and Ascalon, Batman and Zatanna come to end the fight with Zatanna comes bearing the Gnosis Sphere. She then hands the sphere to Ascalon and this instantly gives him all the knowledge he needs to just stop fighting and go learn much more. Because he now knows so much now, he tells Batman that Tim Drake is alive. This huge revelation will pave the way for Batman to start digging deeper into where Tim is, who has him and why. 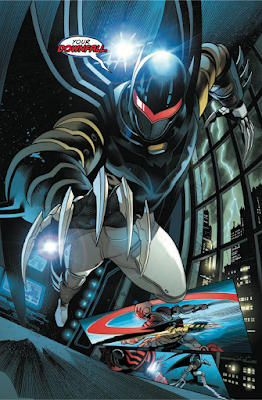 This was by far the second highlight of the issue as it was a satisfying conclusion to this arc as well as still progressing the overall story forward. 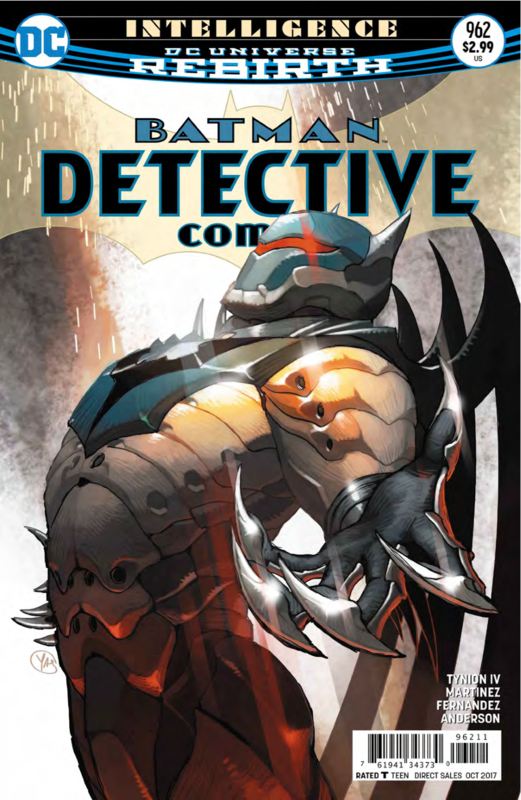 Detective Comics #962 was a satisfying conclusion to the Intelligence arc and an overall fun read. With huge highlights, revelations and beautiful art, this title continues to deliver and proves that this book is sure to be a beloved fan favorite.